Trust Affordable Fencing Company to help you get the best fence for your decorative, security, and/or privacy fencing needs in Temecula. We have over 30 years of experience and specialize in working with vinyl, wood, aluminum, glass, brick, cinderblock, and chainlink fencing materials. With our masterful design, fabrication, and installation techniques, we consistently provide our Temecula clients with attractive and long-lasting fences, railings, and gates, as well as gazebos, patio covers, arbors, gate arches, and lattices. For added value, our fences, gates, and other structures are competitively priced. Since fences and gates are usually the first thing that you and visitors will see upon approaching your Temecula property, it's important to hire a qualified fencing contractor, such as Affordable Fencing Company, who can build you a fence you can be proud of. We are fully licensed, bonded, and insured, and have experience building and installing more than 100,000 fences throughout Southern California, including the counties of Riverside, Orange, and Los Angeles. We always prioritize our clients' best interests and offer honest, expert advice, ensuring we give our clients the best fencing solution for their lifestyle, budget, location, and aesthetic tastes. Call Affordable Fencing Company today to install a beautiful and long-lasting fence, gate, gazebo, arbor, or patio cover at your Temecula property. We offer free estimates and have experience meeting the needs of a diverse clientele, including homeowners, homeowner associations, property managers, and businesses. 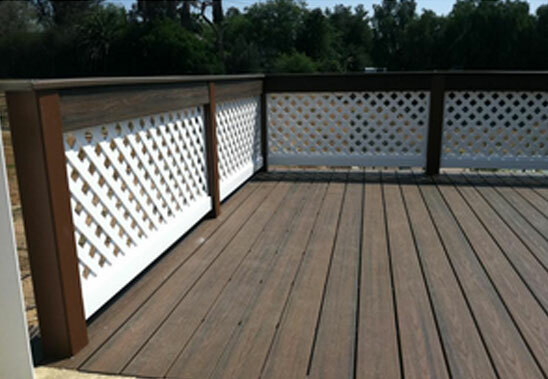 We also sell fencing materials to local contractors and do-it-yourselfers in Temecula. To learn more about our privacy, semi-privacy, picket, ranch rail, and pool fencing options, as well as our patio covers, arbors, and gazebos, contact us today at (800) 836-4899. Estimates are free. 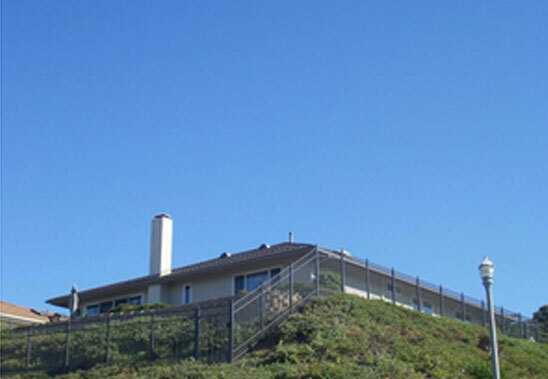 To elevate the value of your Temecula property with a beautiful vinyl fence, railing and/or gate that meets with the highest of industry standards, call Affordable Fencing Company. 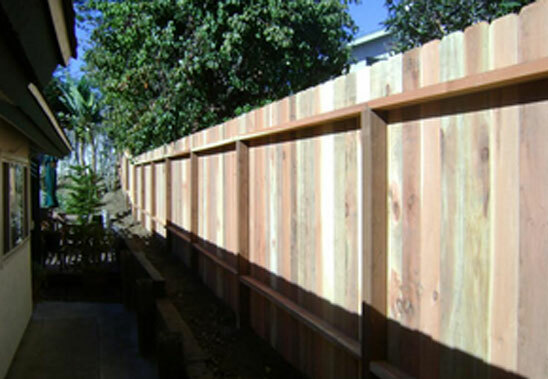 We specialize in vinyl fencing as it combines style and function at a very cost-effective price. Customers in and beyond Temecula can choose from a wide variety of vinyl fence styles, finishes, colors, accents, and post-cap options, and pair them with matching vinyl gates, gate arches, arbors, patio covers, and gazebos. Once installed, our vinyl fences are practically maintenance-free as they won't require any additional painting and are designed to resist sagging, warping, blistering, rotting, flaking, and peeling. Moreover, because we use premium-grade vinyl materials, our vinyl fences and gates are backed by a 50-year manufacturer warranty. At Affordable Fencing Company, we offer Temecula residents, businesses, and homeowner associations the opportunity to have high-quality aluminum fencing installed at a fair price. Aluminum fencing closely resembles the look of classic wrought iron but doesn't have the high cost or ongoing maintenance requirements. Available in an array of colors, grades, sizes, and styles, aluminum fencing can be tailored to suit your specific privacy, security, and perimeter-defining needs. Regardless of how you customize your aluminum fence in Temecula, with our expertise in fence construction and installation, you'll be sure to enjoy a classic and long-lasting fence that is backed by a lifetime warranty. Call us today to get a free estimate. 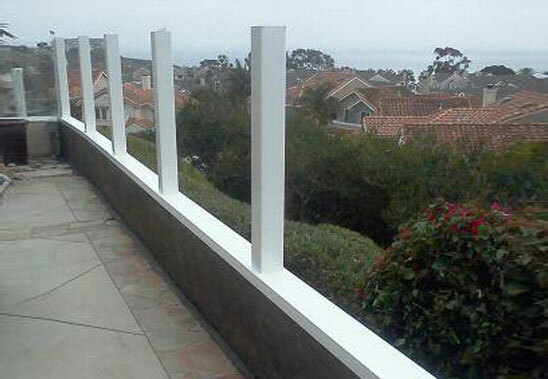 Glass fencing is a great option for properties in Temecula with a landscape view. Whether for a deck, patio, stairwell, or balcony, our glass enclosures take advantage of the market's best structural glass and vinyl materials, which ensures unparalleled elegance and durability. 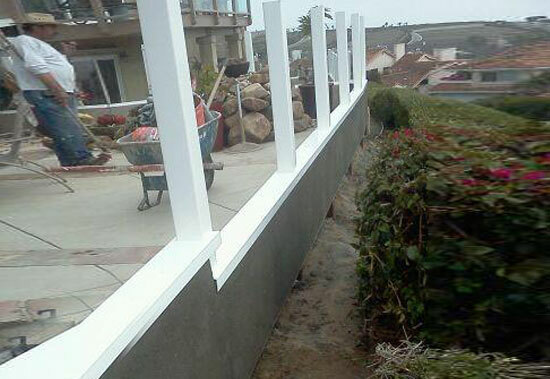 Additionally, we pride ourselves on providing timely glass fencing installation throughout Temecula and offer free estimates, reasonable prices, and flawless workmanship. Our glass fences, railings, and gates can also be custom designed to include glass etchings, polished glass edges, or vinyl top rails and posts. Our vinyl is available in white, almond, adobe, and gray colors as well as with smooth and wood-grain finishes. Call Affordable Fencing Company today to learn more. Affordable Fencing Company is a full-service fencing company with the experience and resources to meet all of your wood fencing needs in Temecula. We are committed to delivering wood fences and gates of exceptional quality at some of the most competitive prices around. We also provide a great selection of wood species and employ the industry's leading techniques to ensure dependable and long-lasting results. Our Temecula clients can choose from our dog-eared and cap-and-trim style wood fences, and have their wood stained or painted. Whether to increase privacy, enhance security, reduce noise, or bolster property values, our wood fences in Temecula are suitable for all kinds of decorative and functional needs. Call today to schedule a free consultation and estimate. With over three decades of experience and an impeccable reputation for producing superior work at competitive rates, you can't go wrong by choosing Affordable Fencing Company as your preferred pool fence company. 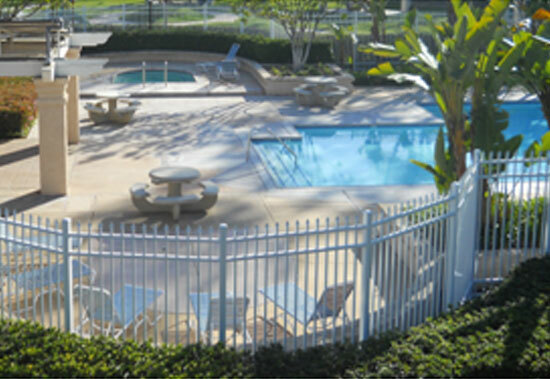 Serving Temecula and the counties of Los Angeles, Riverside, and Orange, we use superior quality aluminum, vinyl, and/or tempered glass materials to deliver long-lasting results for all of our pool fences and gates. And, whether for a private pool, HOA pool, or large commercial pool, we are capable of meeting the most stringent of standards. Learn more about our pool fences in Temecula by giving us a call. More often than not, our Temecula glass, wood, vinyl, and aluminum fences are built with coordinating walkway or driveway gates. 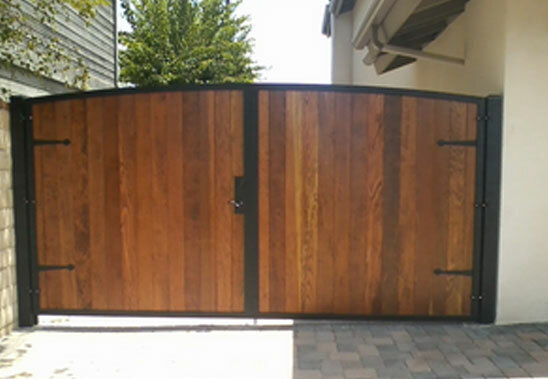 We build each our gates in Temecula using quality materials and are able to support the security, privacy, and decorative needs of our clients. We offer both single- and double-door gates, as well as gates with various size, post cap, color, finish, size, and other customizations. Moreover, we are able to meet most functional needs as we have access to a large selection of hardware, such as gate handles, levers, locks, automatic gate operators, rollers, and access control systems. Plus, our gates in Temecula are backed by extensive warranties, competitively priced, and installed within a timely manner. Contact us today for a free estimate. Temecula clients can also rely on us for arbors, gate arches, and lattices, all of which are crafted from superior-quality vinyl materials. Combined with competitive prices, a 50-year warranty, three decades of experience, and excellent customer service, Affordable Fencing Company offers our Temecula clients some of the best values in vinyl patio covers. 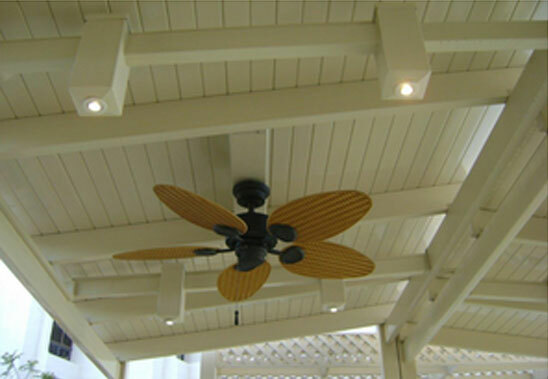 In business since 1983, we've designed and custom built these charming structures for thousands of satisfied clients and can assure our Temecula customers that they'll obtain results they'll love. Call us today for a free written estimate and to install a patio cover, arbor, lattice, or gate arch at your Temecula property.